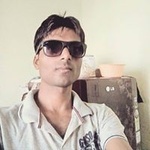 Myself Nishant gupta. i am a Google ad-sense expert. i have also Knowledge of web Designing & web Development. You may experience a slow response from Nishant as they have marked themselves as unavailable at the moment. Return to browse freelancers.